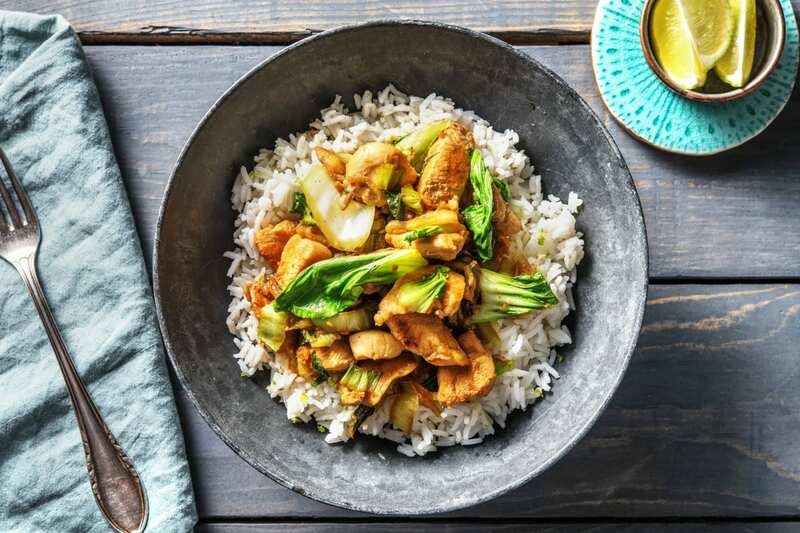 We love a good Chicken with Bok Choy and Rice and this deliciously simple, chef-curated recipe doesn't disappoint. Time to bust out the pots and pans! Pour the water (see ingredients for amount) into a large saucepan and bring to the boil. 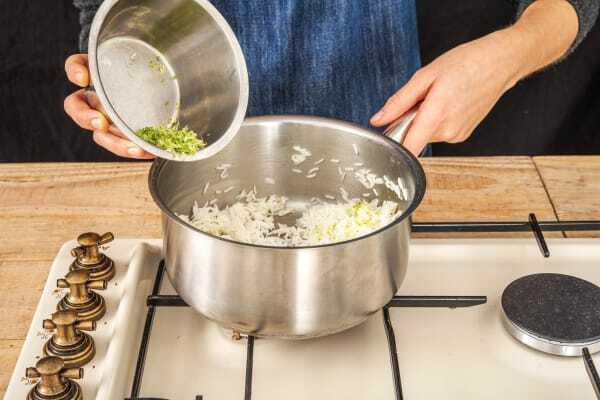 When boiling, stir in the rice and a pinch of salt, lower the heat to medium and pop a lid on the pan. Cook for 10 mins, then remove from the heat and set aside (still covered) for another 10 mins or until ready to serve. 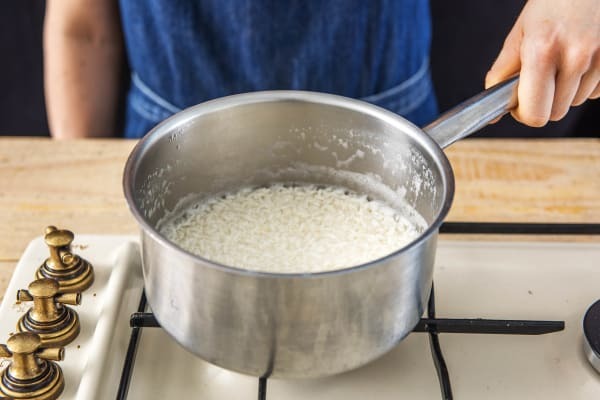 TIP: The rice will finish cooking in its own steam. Heat a drizzle of oil in a large frying pan over medium heat. 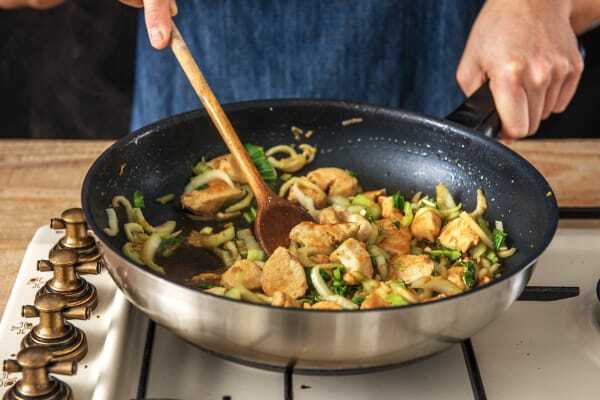 When hot, add the diced chicken and stir-fry until golden all over and cooked through, 10-12 mins. IMPORTANT: The chicken is cooked when it is no longer pink in the middle. While the chicken is cooking, prep the bok choy. Peel and grate the garlic (or use a garlic press). Peel and grate the ginger. Zest the lime then cut into wedges. 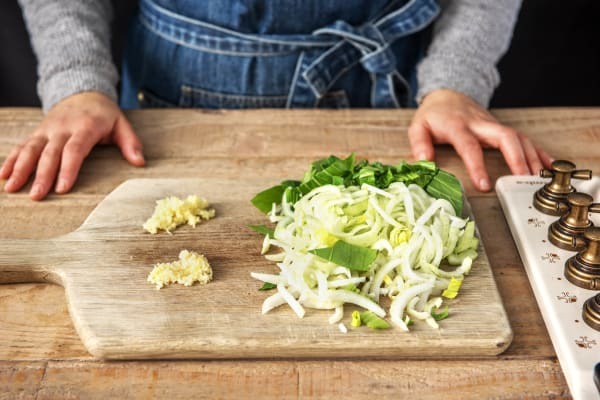 Trim the bok choy then thinly slice widthways. 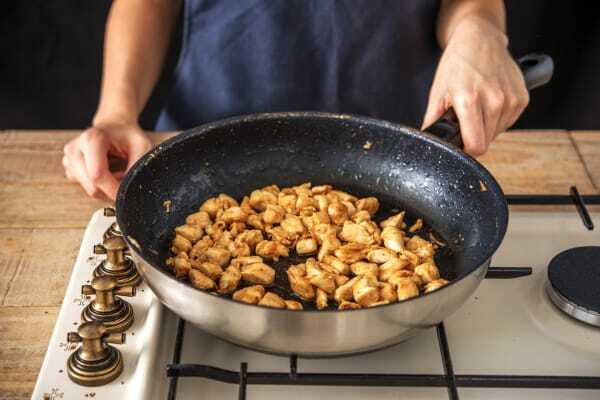 Add the Chinese five spice, garlic and ginger and a splash of water to the chicken and cook, stirring for 1 min. Add the bok choy to the pan, stir and cook for 4 more mins before adding the soy sauce and half the lime juice. Let the mixture bubble for a final minute, season to taste and remove from the heat. Fluff up the rice with a fork then fold through the remaining lime zest. Season with salt and pepperto taste. Divide the zesty rice between your plates. 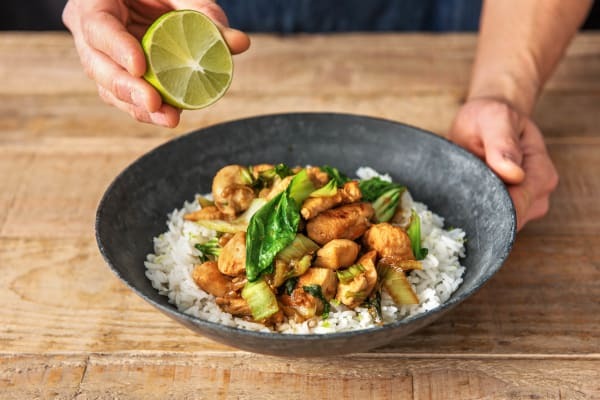 Top with the chicken and bok choy and serve with the lime wedges for squeezing over. Enjoy!